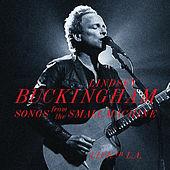 Songs From The Small Machine - Live In L.A. When the hand of fate pushed together bright-eyed Stevie Nicks and jockish folk guitarist Lindsey Buckingham in the hallways of Menlo Atherton High School, it would have been hard to guess that the duo would reshape the next decade of rock music. But after Nicks and Buckingham joined Fleetwood Mac, their influence quickly changed Mac's sound from experiments in deep blues to the high-gloss pop for which they are most widely known. Buckingham brought much to the group. His brilliant guitar playing and taste for dark production merged his pop songwriting with other members' efforts into a commercially uniform hi-fi sheen. 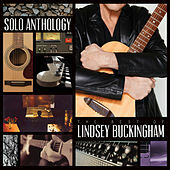 Buckingham produced his own albums on the side, the best of these likely being 1981's Law and Order. He left Mac after the release of 1987's Tango in the Night to concentrate on his solo career. In 1992 Out of the Cradle arrived, barely preceding a Fleetwood Mac reunion that would gain him attention through the late 1990s. Under the Skin was released in 2006.